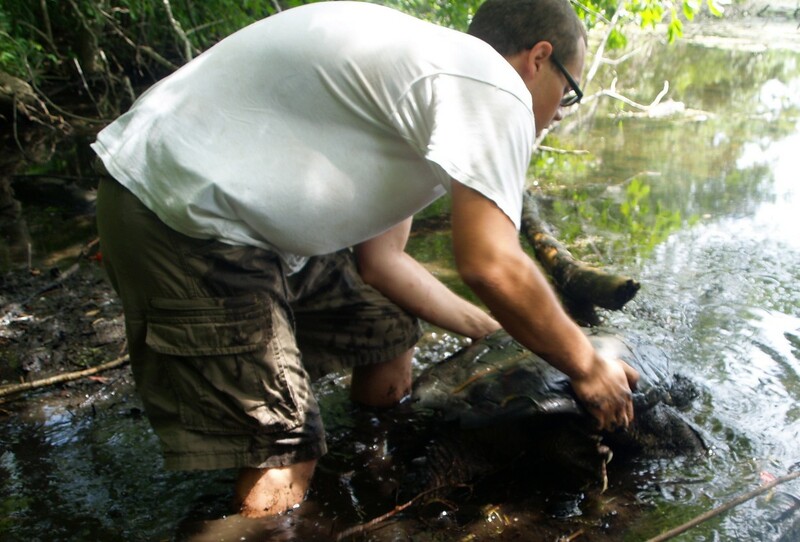 The author with his humongous Common Snapping Turtle (Chelydra serpentina) friend. Woodley, M. H., et al. (2012) Response to Bousfield and LeBlond: Shooting Pipefish in a Barrel; or, Sauropterygian “Mega-Serpents” and Occam’s Razor. Journal of Scientific Exploration 26(1) 143–145. Available. 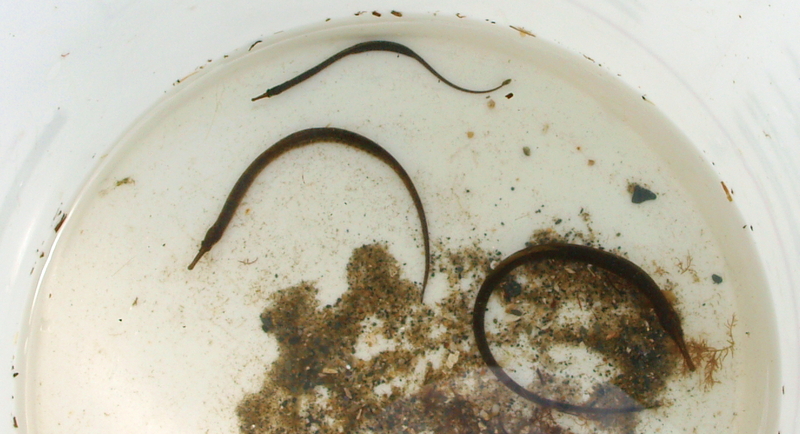 Northern Pipefish (Syngnathus fucus) in a bucket. This is relevant to the articles above, honest.